Chicago Bicycle Accident Lawyer | Illinois Bicycle Lawyers at Keating Law Offices: Springfield Plans to Become More "Bike Friendly"
Springfield Plans to Become More "Bike Friendly"
"The Springfield Area Transportation Study, represented by members of the Springfield-Sangamon County Regional Planning Commission, City of Springfield, Sangamon County, Springfield Mass Transit District, Illinois Department of Transportation and the Village of Chatham, will incorporate area bicycle and pedestrian pathways into its 25-year transportation plan.SATS has traditionally focused on roads, says Linda Wheeland, senior transportation planner with the Regional Planning Commission, but decided to add plans for alternative transportation in order to meet the public’s needs." 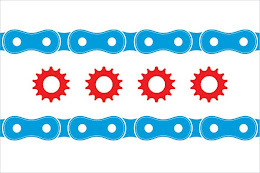 IllinoisBicycleLaw.com often focuses on the tragic results of those breaking the law and injuring or even killing bicyclists and the legal ramifications of those events. 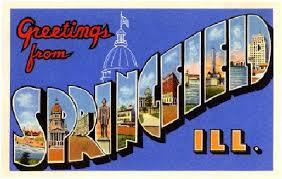 It's great to be able to applaud Springfield's efforts to increase safety and accessibility in our state's capital. This is especially great to see in the aftermath of last week's tragic collision involving three Chicago-area girls downstate.